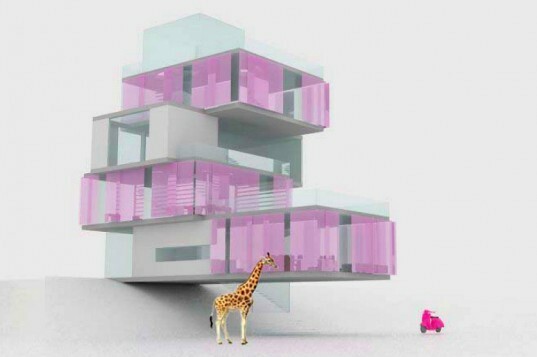 Architect Barbie's Winning Dream House Design Unveiled - And it Has a Green Roof! 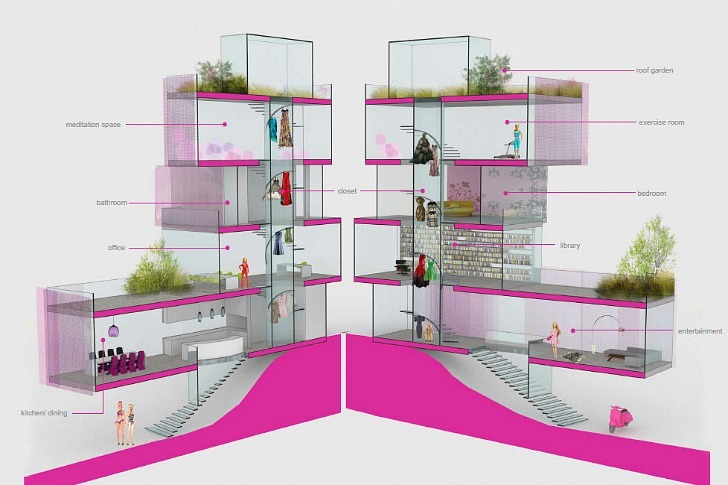 Architect Barbie’s Winning Dream House Design Unveiled – And it Has a Green Roof! The winner of the Architect Barbie Dream House design competition has been announced, and the award goes to Ting Li and Maja Parklar for their Malibu Barbie Beach House. It is the quintessential Malibu home, complete with modern aesthetics, super functional spaces, lots of eco-friendly decor and plenty of sustainable features. A green roof, drought tolerant landscaping, solar panels and energy efficient appliances round out the design. With the release of Architect Barbie this summer, little girls (and some boys) around the world will hopefully learn more about what it's like to be an architect and when this super green dream home is released, eco friendly abodes will become a natural addition to their playtime. As you might expect, Barbie only gets the best, so her green dream home is a modern marvel with plenty of room for entertaining. It’s designed to conform to USGBC standards for green building, meets the needs of a classic California lifestyle and is situated on a bluff overlooking the Pacific Ocean. The 1,500 sq ft, four story house features a large chef’s kitchen and an open living room with a second floor office and library where Barbie can work on her very important projects. The third floor is dedicated to Barbie’s clothes, her bathroom and her bedroom and finally the fourth floor holds space for a meditation room and an exercise room. There is even a rooftop deck with a landscaped green roof topped off with solar panels. As for green features, the cubic home features operable shades on all of the windows to cut down on solar heat gain and the green roof reduces heat island effect and provides extra insulation. Low flow fixtures are installed throughout the house and Energy Star appliances cut down on electricity use. In addition, eco friendly materials like bamboo flooring and low VOC paints are used, along with locally sourced furnishings. Lastly, the large landscaped garden is perfect for all of Barbie’s pets, including her giraffe (no comment on that one). A set of stairs leads down right to the beach and a small parking space for Barbie’s scooter eliminates the need for a large garage. As you would expect, Barbie only gets the best, so her green dream home is a modern marvel with plenty of room for entertaining. It is designed to conform to USGBC standards for green building, meets the needs of a classic California lifestyle and is situated on a bluff overlooking the Pacific Ocean. The 1,500 sq ft, four story house features a large chef’s open kitchen and open living room for entertaining. The second floor is and office and library where Barbie can work on her very important projects with a private terrace. Check out the huge library! It's as big as her closet! The third floor is dedicated to Barbie's clothes, bathroom and bedroom and finally the fourth floor holds space for a meditation room and an exercise room. Finally, the rooftop deck is a landscaped green roof topped off with solar panels. As for green features, the cubic home features operable shades on all of the windows to cut down on solar heat gain and the green roof reduces heat island effect and provides extra insulation. Low flow fixtures are installed throughout the house and Energy Star appliances cut down on energy use. Eco friendly materials like bamboo flooring and low VOC paints are used, along with locally sourced furnishings.